Global business, more than ever before, operates across a complex grid of parameters. Organizations need to look beyond the dark clouds of uncertainty of the economic slowdown – they need to exercise severe restraint while yet preparing for an ambitious growth agenda. The task is unenviable for technology and business leaders, faced with shrinking budgets and revenue pressures. The answer to this sustained corporate predicament is making value the core strategic priority. When organizations invest in decisions that bear the promise of delivering greater value, there is a measurable improvement across all key bottomline affecting parameters. But the most crucial of all, is the ability to identify and build relationships that deliver enduring value. Just the reason, why a partner like Innstra makes perfect business sense. 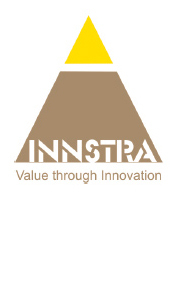 While a strategic relationship with Innstra could mean measurable cost savings in the short term, in the long term, it can mean meeting your expected and unexpected growth needs to your satisfaction. That is what value-based partnerships are all about, right?